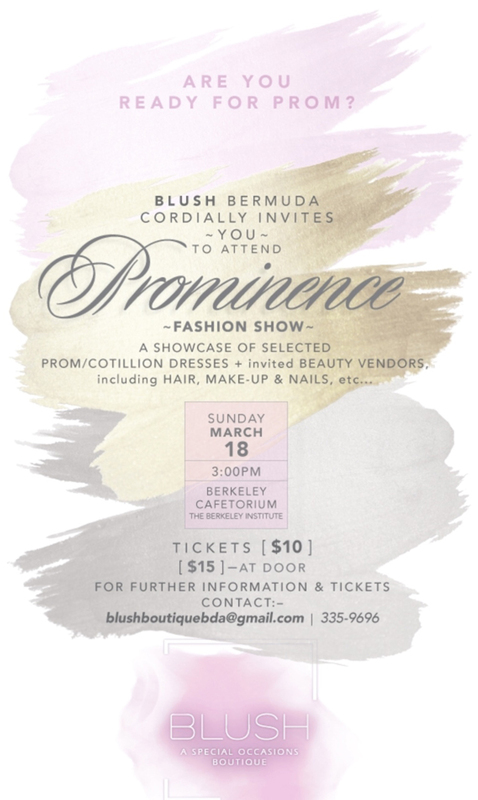 Blush Bermuda is getting set to present a prom dress fashion show dubbed “Prominence” on Sunday, March 18 at 3.00pm at the Berkeley Institute Cafetorium. “The dresses in the show are just a sample of what can be made available. They will be on sale or alternatively, students can make an appointment to come to the studio for a personal consultation and ordering from the selection of designers we offer,” they added. “We will also have a few cotillion style dresses for the Berkeley Institute graduates as well as white dresses for primary school graduates.